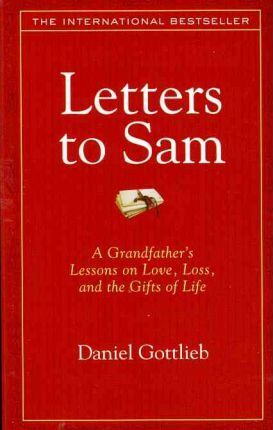 When his grandson was born, Daniel Gottlieb began to write a series of heartfelt letters that he hoped Sam would read later in life. He planned to cover all the important topics - dealing with your parents, handling bullies, falling in love, coping with death - and what motivated him was the fear that he might not live long enough to see Sam reach adulthood. Daniel Gottlieb is a quadriplegic - the result of a near-fatal automobile accident that occurred two decades ago - and he knows enough not to take anything for granted. Then, when Sam was only 14 months old, he was diagnosed with Pervasive Developmental Disability, a form of autism and suddenly everything changed. Now the grandfather and grandson were bound by something more: a disability - and Daniel Gottlieb's special understanding of what that means became invaluable. In addition to his thriving psychotherapy practice, Daniel Gottlieb serves as the host of Voices in the Family, an award-winning mental health call-in show in America. He has also written columns for a magazine and is the author of three other books.